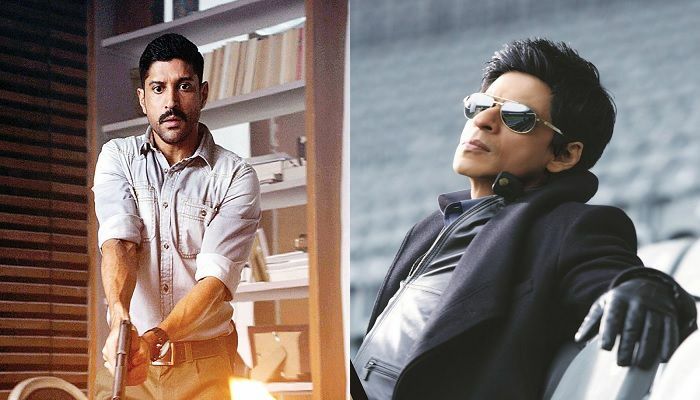 Farhan Akhtar, who is co-producing Shah Rukh Khan's upcoming thriller Raees, was also going to act in the film which stars King Khan as a bootlegger. Akhtar, who had initially signed the film, was supposed to play the character of a cop who would be chasing Shah Rukh Khan. However, the actor who will be seen playing a cop in Amitabh Bachchan's Wazir, later on decided to opt out of the film as he did not want to repeat his cop act. Farhan Akhtar's loss was Nawazuddin Siddiqui's gain. After working with Aamir Khan in Talaash and Salman Khan in Kick and Bajrangi Bhaijaan, the actor is all set to chase Shah Rukh Khan in Raees. "I had to opt out of Shah Rukh Khan's Raees because of Wazir. It is not that I don't like to repeat myself, but if I would have done Raees, it would have been right next after Wazir and I was a bit apprehensive to repeat myself in such quick succession. Now we have Nawazuddin Siddiqui as a cop in Raees and he is a great actor." "I enjoyed that character tremendously. He is a very exciting character to write. Also, I had a tremendous time working with Shah Rukh Khan. So hopefully something will come along but I don't have a plan yet." Wazir releases on 8 January 2015.